CARL RUSSO/Staff photo. Andover's Lilly Reeves, left, moves the puck against Beverly/Danvers junior, Tori Shea in hockey action. 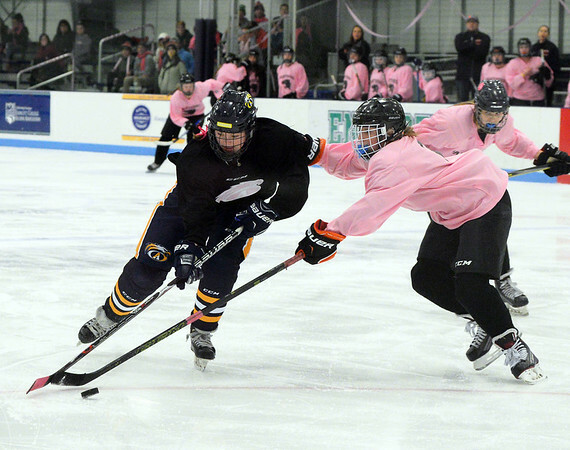 The annual Colleen Ritzer memorial hockey game between Andover high and Beverly/Danvers was played Wednesday night on January 9 at the Raymond Bourque arena at Endicott College.